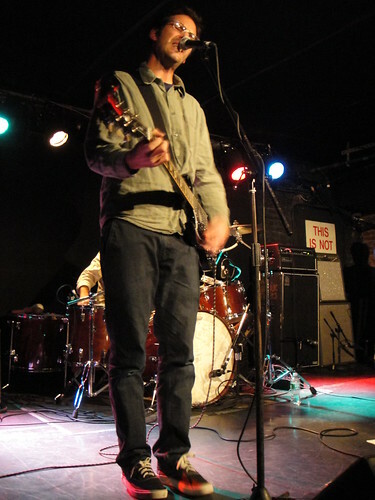 “Being passingly familiar with Clem Snide when I showed up at the Mercury Lounge on this chilly Tuesday night, I wasn’t entirely sure what to expect. Suffice to say, the show turned out to be quite the treat. In addition to the amazing music and cleverly funny lyrics, frontman Eef Barzelay’s sense of humor and interplay with the audience made for a wonderful experience. Bolstered by Ben Martin on drums and Brendan Fitzpatrick on bass, the music had elements that at times reminded me of Neutral Milk Hotel, Calexico, American Music Club and the Plimsouls, but then the trio would veer off and make the sound their own. Unfortunately, Eef and Co. didn’t play anything off their most recent release, the beautiful and edgy ‘Hungry Bird’, but they did play a few new songs that will hopefully appear on a forthcoming album. Rest assured I will be seeing Clem Snide the next time they come around. If you download this recording, we expect that you will PLEASE SUPPORT Clem Snide, visit their website, and purchase their official releases from the links at their website [HERE]. A huge Thank You for this recording. Have been a huge Eef/Clem Snide fan since their first record but have never been able to catch them live. So, this was a treat and a privilege to have. Thanks again! 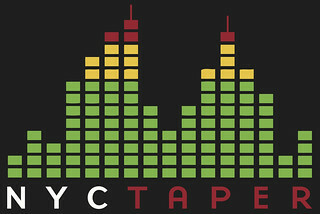 Hey NYC Taper – Thanks a million for recording this show. I saw the show in March but didn’t make it to this one.